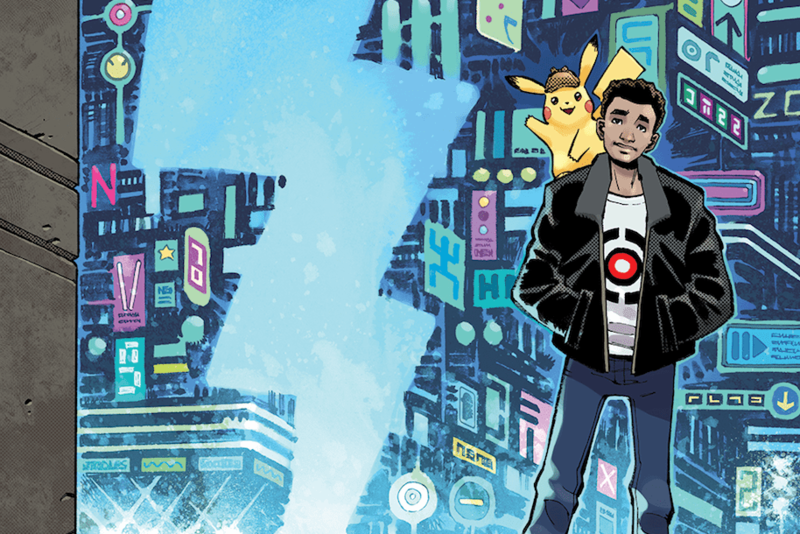 Legendary Comics announces Detective Pikachu companion graphic novel – AiPT! The upcoming Pokemon movie is making a push into comics. The much anticipated upcoming Pokémon film, Detective Pikachu, is getting its own comic book adaptation in a new companion graphic novel coming Summer 2019. Legendary’s comic division shared the news with fans on their Twitter account Thursday evening. The creative team of Brian Buccellato and Nelson Dániel will be working together to on the project. Buccellato is known for his work on Flash and Injustice for DC Comics, Cannibal for Image Comics, and The Darkness for Top Cow. Dániel has a long history in comics, having done art and colors on The Cape: 1969, monthly series Judge Dredd, Dungeons and Dragons, Clue, and the Stephen King/Joe Hill collaboration, Road Rage, in addition to the single issues of Ghostbusters, GI Joe, and Teenage Mutant Ninja Turtles. The upcoming live action Pokemon movie, stars Ryan Reynolds as the voice of Detective Pikachu and Justice Smith as his human partner. The film is scheduled for release on May 10, 2019. You can see the cover art for the graphic novel and full press release below. In anticipation of this summer’s big-screen adventure POKÉMON Detective Pikachu, the first-ever live-action Pokémon movie with a cast led by Ryan Reynolds opening May 10, Legendary Comics announced at Emerald City Comic Con today the official movie graphic novel POKÉMON Detective Pikachu. Written by Brian Buccellato, with art by Nelson Dániel, it is set to debut online and in stores in Summer 2019, following the film’s release. The graphic novel draws inspiration from the upcoming film that is based on the beloved Pokémon brand–one of the world’s most popular, multi-generation entertainment properties and one of the most successful media franchises of all time. Readers are invited to follow along as lead character Tim Goodman, played in the movie by Justice Smith, journeys through Ryme City searching for his missing father. With twists and turns around every corner, nothing is more twist-y than Tim’s unexpected partner: a Pikachu with a penchant for coffee and danger, and the amazing ability to speak human language. In a city where humans and Pokémon live together in harmony, unexpected dangers surround them as they try to solve a mystery. Follow Facebook.com/LegendaryComics for the latest news and updates.